Today’s Provo Daily Herald has an interesting article about Dr. Steven Merrill, an internal medicine physician who was drafted as a young man to serve in the Vietnam War. He tells some interesting stories, such as an account of two drunk soldiers who ingested vodka and C-4 explosive putty, but that’s not the reason I’m writing about him. About four years ago, I was in the best shape of my life. I was running three days a week and swimming three days a week, and lifting weights six days a week. I was at my goal weight, I had built up some muscles, and I was in very good cardiovascular condition. But sometime over Christmas break, I developed a pain in my lower right abdomen. Most days I could go to work, but I would come home and lie down immediately; other days the pain was bad enough that I just stayed in bed. I went to my regular doctor several times, but he couldn’t find any problems. The pain was in the same general area of a hernia I had repaired some ten years previously, but x-rays and scans showed the mesh panel in there was holding up just fine. A few times the pain was so bad that I went to the ER. Each time, they would do an x-ray or a CT scan and find nothing, so I would go home frustrated and discouraged. My wife encouraged me to get a second opinion and then a third and then a fourth. No one could find anything, so the doctors’ consensus was that I would have to see a pain-management specialist and learn to live with it. I was discouraged and ended up getting a TENS unit to manage the pain, but life was pretty miserable. My wife, however, refused to give up and insisted I see another doctor. That’s how I ended up in Dr. Merrill’s office some nine months after the pain had started. He walked in the door, and I immediately wondered if I was wasting my time. He was elderly and had a lot of hair growing out of his ears, and as I recall, he was wearing cowboy boots. He opened the folder full of my previous scans and x-rays and said, “You know you have a hernia, right?” No, I did not. He then poked his finger up through the pelvic opening and said, “Does this hurt?” Why, yes, it did. “You need surgery,” he said, giving me the name of a surgeon who he said was “the best in Utah County.” My wife and I were almost in tears because we finally had an answer. When we saw the surgeon, he asked us why we had waited so long to go to the doctor. I told him I was just grateful that Dr. Merrill had figured out what was wrong with me. He told us Dr. Merrill was one of the good ones. I heartily agreed. Immediately after the surgery, I felt better than I had before, and after a few days’ recovery, I was back to normal. It was a good lesson to me never to judge someone by their appearance and, especially, never to give up until you have an answer. I’ve just been made aware of a new web site, MormonSpectrum.org , which basically aggregates links to a lot of resources across the spectrum of LDS belief and lack thereof. I think it can be a valuable resource. ETA: Based on a cursory reading of the site’s content, I erroneously judged it to be skewed towards the ex-Mormon perspective. I was wrong, and I apologize for my premature judgment. 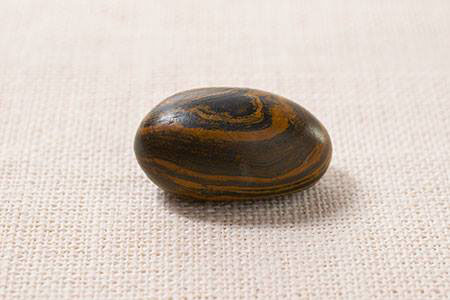 The Ensign article gives a lot more information about what a seer stone is and how it was used in Joseph Smith’s day, but in my view, it seems to avoid some of the trickier questions about the stone and its history. Why then does the picture of a brown, striated stone trouble us? I think because it crosses a boundary we had held on to between religion and superstition. We have known about the gold plates and the angel and the Urim and Thummim long enough to assimilate them into respectable religion. Those are the ways of God. On the other side of the boundary are witchcraft and spells and tarot cards. Those are silly superstitions that the benighted believe in. We want none of that. The seerstone, sitting there like it had just been dug up, drags across the line into the realm of the superstitious. Do we really want to be part of a religion that dredges up objects and symbols from folk magic? In doing so we join a battle that has waged for four centuries or more between magic and religion. In the seventeenth century lots of religious people believed in seerstones and various kinds of magical apparatus. They were instruments for reaching the divine. In the eighteenth century all such things were discredited by the Enlightenment, and Protestants (more than Catholics) sloughed them off. That process began at the top of society and only worked its way down gradually. In Joseph Smith’s time ordinary people were divided. Many of his neighbors believed in seerstones; others ridiculed them. He made them part of his religion. In later years, as Joseph told his remarkable story, he emphasized his visions and other spiritual experiences.9Some of his former associates focused on his early use of seer stones in an effort to destroy his reputation in a world that increasingly rejected such practices. In their proselyting efforts, Joseph and other early members chose not to focus on the influence of folk culture, as many prospective converts were experiencing a transformation in how they understood religion in the Age of Reason. In what became canonized revelations, however, Joseph continued to teach that seer stones and other seeric devices, as well as the ability to work with them, were important and sacred gifts from God. But both of these statements assume that using seer stones for hire was, at one time, an acceptable and honorable profession, so it’s just “presentism” that makes us modern folks recoil at the thought. In fact, scrying, or “juggling” as it was sometimes called, for money was potentially grounds for a criminal charge of being a “disorderly person,” and it was an activity acceptable only to the credulous. A legal document from 1819 includes in its definition of a disorderly person “All Jugglers; All who pretend to have skill in physiognomy, palmistry, or like crafty science, or pretend to tell fortunes, or to discover where lost goods may be found.” This explains why, in 1826, Joseph Smith was tried on a charge of being a disorderly person and impostor. Leaving aside whether or not he was convicted (he seems to have been let off with a warning not to continue the practice), he is known to have hired out to Josiah Stowell and others to locate hidden treasures through the use of the seer stone. 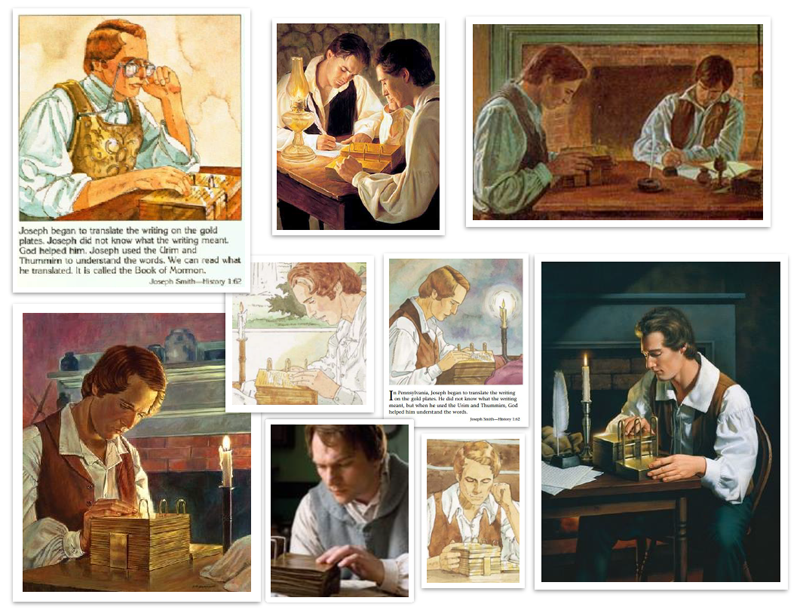 The problem, then, is not only that modern Mormons do not believe one can find lost or hidden items using a seer stone, but they recognize, as did people in Joseph Smith’s day, that people who pretend to have that ability are being dishonest. At best, finding items this way is a sort of parlor trick, but at worst, it’s a conscious fraud. That Joseph Smith may or may not have made very much money in his endeavors is beside the point. That he used a seer stone at all in exchange for money is troubling to a lot of people. Thus, it’s not so much the connection to folk magic but the connection to possible fraud that is troubling to people, especially since most are hearing of this for the first time. In the month of October, 1825, I hired with an old gentleman by the name of Josiah Stoal, who lived in Chenango county, State of New York. He had heard something of a silver mine having been opened by the Spaniards in Harmony, Susquehanna county, State of Pennsylvania; and had, previous to my hiring to him, been digging, in order, if possible, to discover the mine. After I went to live with him, he took me, with the rest of his hands, to dig for the silver mine, at which I continued to work for nearly a month, without success in our undertaking, and finally I prevailed with the old gentleman to cease digging after it. Hence arose the very prevalent story of my having been a money-digger. There’s no mention of the scrying activities, and Joseph tells us he was just a hired hand doing manual labor for Stowell, leaving the impression that the “very prevalent story of [his] having been a money-digger” was merely a distortion of the truth. Of course, now the church acknowledges that he was digging for money using the stone, and the church confirms that he used the same stone and method to translate the Book of Mormon. For as long as I can remember, the church has always taught that the Book of Mormon was translated by the gift and power of God through the means of the Urim and Thummim, which were the interpreters deposited with the golden plates, not by looking at a stone that had been found in a well when Joseph was a teenager. An LDS friend reminded me that the story of the seer stone in the hat was mentioned in official LDS sources exactly twice in the last 40 years, the last time in 1993. So, it’s no wonder that this information might be a bit of a surprise to most members of the LDS church, and no one can blame some people for feeling that the church should have been more open with this information. At this point, some people will say I’m accusing the LDS church of “covering up” its history, but I don’t think that’s what happened. As the Ensign article mentioned, seer stones fell into disrepute, even within Joseph Smith’s lifetime, and the stories were presented in a way that distanced the early church from these “folk magic” practices. In time, the standard narrative was accepted without question, such that many, if not most, church leaders probably had no idea the seer stone was involved or where it came from. And if they were unaware of these things, I don’t imagine that curriculum writers knew about them, either. So, the church published a sort of “sanitized” version of its history, perhaps without even knowing it. But now we know the fuller history, and it is upsetting to a lot of people. I am dismayed–though not surprised–that many Mormons I know are blaming those who were blindsided by this revelation for being upset about it. The church, they say, has always been open about these issues, and people should take responsibility for learning about the history of their church instead of expecting the church to spoon-feed it to them. In short, too many people want to blame the unsuspecting members and absolve the church (and vice versa, for that matter). But such an approach helps no one. What is called for is an open discussion of what we know, and then we can discuss the reasons people are upset or feel they have been misled. I don’t see why leaders and members can’t acknowledge that the church was a little squeamish about the history of the seer stones. Insisting that the church has always been perfectly transparent when we know otherwise just reinforces the feeling that many have that the church has broken its trust. You are currently browsing the Runtu's Rincón blog archives for August, 2015.